When I moved from Edmonton in 2016, I was looking for a volunteer position. I knew about the Red Cross because I was a blood donor and hoped to volunteer one day. When I saw a Red Cross volunteer position posted online, I immediately jumped at the opportunity. Having a Bachelor’s degree in Business Administration and a background in Human Relations, I worked with Disaster Cycle Services performing fiscal reviews of cases with direct client assistance. I currently help the Volunteer Services department as a Volunteer Connections Team Member. I also volunteer with the Development Department as an Administrative Project Assistant, providing support to fundraising events and maintaining the donor database. I have met some amazing people and learned new skills. Due to my schedule, my work has mostly been behind the scenes. My goal is to get involved in more front-line disaster relief work in the future. I have been volunteering for 22 years with many different non-profit organizations as my way of giving back to the community. Volunteering with the Red Cross allows me to contribute to a great cause while challenging me to improve my skills and build relationships with people from different backgrounds. I really enjoy the work I do. Through my volunteer work with the Red Cross, I am gaining experience in an American workplace and meeting new people while being involved in a great cause. I feel grateful to be a part of it. Be part of our great cause. 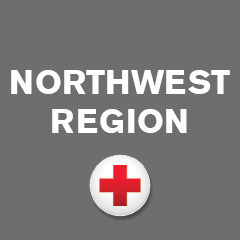 Join Soniya as a Red Cross volunteer!